More than 270 kilometers on foot or by bicycle to traverse the footsteps of St. Francis, crossing all Umbria. 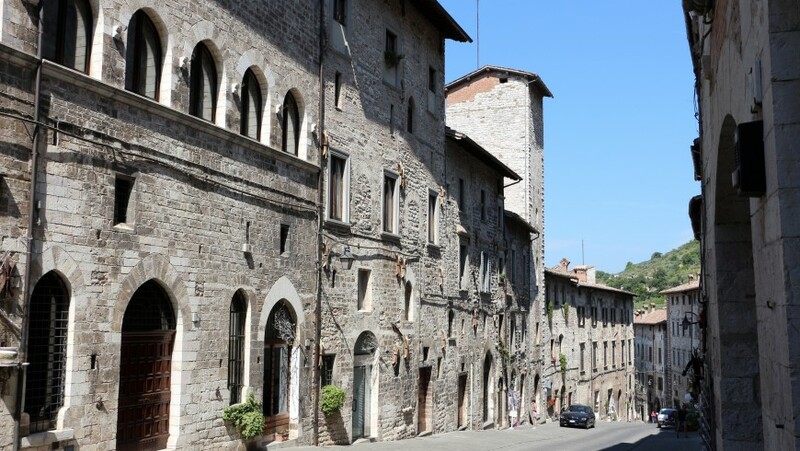 Saint Francis, from the twelfth to the thirteenth centuries, lived a great part of his life in the Umbria region and it is these places that have inspired his life. The Way of St. Francis, one of the most famous hiking routes in Italy, allows to breathe the same atmosphere as the poor saint of Assisi and to discover a green region made up of ancient forests and hills where enchanting medieval towns, sanctuaries and hermitages still reveal their spirituality. To go all the 276 kilometers across the region, you’re gonna need two weeks if you decide to go by foot, at least eight days for bikers. The Way of St. Francis foresee two routes, both lead to Assisi: starting from North (La Verna) or from South (Rome). It’s more than a journey, an adventure, it’s more than a pilgrimage, maybe it’s more than a trip: a life experience. Let’s discover some of the stages together, waiting to take the trip! In the Northern Route, the second stage is very challenging, but it gives some of the most beautiful memories thanks to the natural landscapes you can admire and the Franciscan hermitages you can reach. In 36 kilometers you will cross the Nature Reserve of the Alpe della Luna to reach the beautiful Sansepolcro. The first stretch has a long and challenging ascent. Worth a detour and a stop at the Hermitage of Cerbaiolo. After about 10 kilometers, begins a very steep and tiring stretch in the woods, where we can see the defensive works dating back to World War II. We then go into the Alpe della Luna Reserve where you can meet roe deer among the breathtaking landscapes and majestic trees. Will this be nature sung in the Song of Creatures written by the Saint? We can stop and rest in the Eremo of Montecasale, where St. Francis converted three thieves. 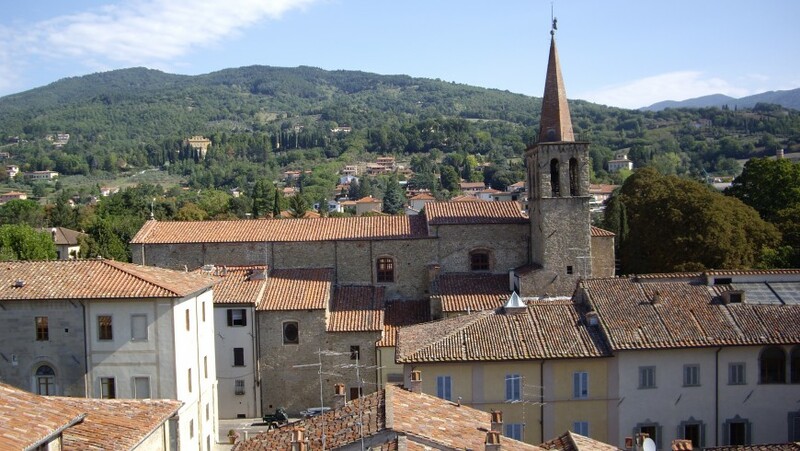 Then begins the descent to Sansepolcro, one of the jewels of Umbria that preserves precious works of the Renaissance. The eco-sustainable stay: At Sansepolcro we can stop for one night in La Conca, a large farmhouse surrounded by 300 hectares of woods and pastures. Another long stage that allows you to reach Pietralunga and its magical forests. Through continuous climbs and downs, among the valleys and woods we regenerate ourselves with the silence of nature, letting us envelop by the spirituality of these places. About half of this fifth stage we reach the Pieve de’ Saddi, a fundamental place for the spread of Christianity in the territory. 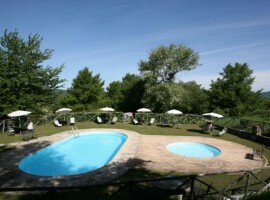 After 36 kilometers you arrive at Pietralunga, which lies right in the heart of Umbria, in the upper Tiber valley. It is a fascinating authentic village, rich in traditions and culture, but also in nature. In its territory, there’s a forest rich in wildlife, flows through the Carpina stream. It is one of the largest wooded and hilltop complexes in Italy and is a truly amazing place. The eco-sustainable stay: in Pietralunga, in the heart of the forest, is the former monastery of San Salvatore which has now become a charming hospitality. La Cerqua is an organic and educational farm where you still breathe an ancient air: here you sleep in one of the 6 charming rooms or one of the suites, featuring beams, terracotta floors and fireplaces. On the ground floor there is the dining room and the organic-bar with a beautiful veranda, reading room and music room: places for your wellness. We continue our journey through the Way of St. Francis with the next stop taking us to the city of Gubbio, where Saint Francis was welcomed as a pilgrim. The stage is about 26 kilometers long and winds through secondary roads and mule tracks, without any difficulty. It starts between the mountain valleys and then reaches the plain, passing through hermits, abbeys and small villages. The stage ends in front of the church of Saint Francis, where we find the statue that represents Francis and the wolf. 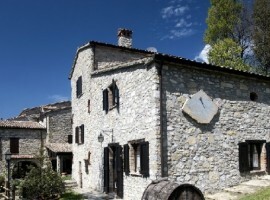 The eco-sustainable stay: to live the wonder of Gubbio and discover every corner of this wonderful city we can stop at the Kebio farm. This entry was posted in journeys and tagged car free holidays, ecotourism, Italy, slow travel, spiritual walks, sustainable tourism, Umbria, walking, Way of St. Francis. Bookmark the permalink.